I am very excited to launch the first post in my new series called Once Upon a Dream! In this post, I will teach you how to have a Parisian themed night of relaxation. The inaugural post of this new series is for those of you who daydream about living in beautiful Paris. I don’t know about you guys but I can’t help but romanticize Paris in my mind. I love everything about Paris, from the architecture, to the Parisian fashion, to the French music. Who says you need to physically travel to Paris to have a dreamy, relaxing, Parisian themed night? Yes, you can travel to beautiful Paris for the night, from the comfort of your very own bedroom. Keep reading to find out how to have a relaxing night in Paris! View of the Eiffel Tower from your window recommended but not required. Before our Parisian night of relaxation can begin, we have to set the mood of course! I like to use different scented candles or sprays to transport me to far away places. 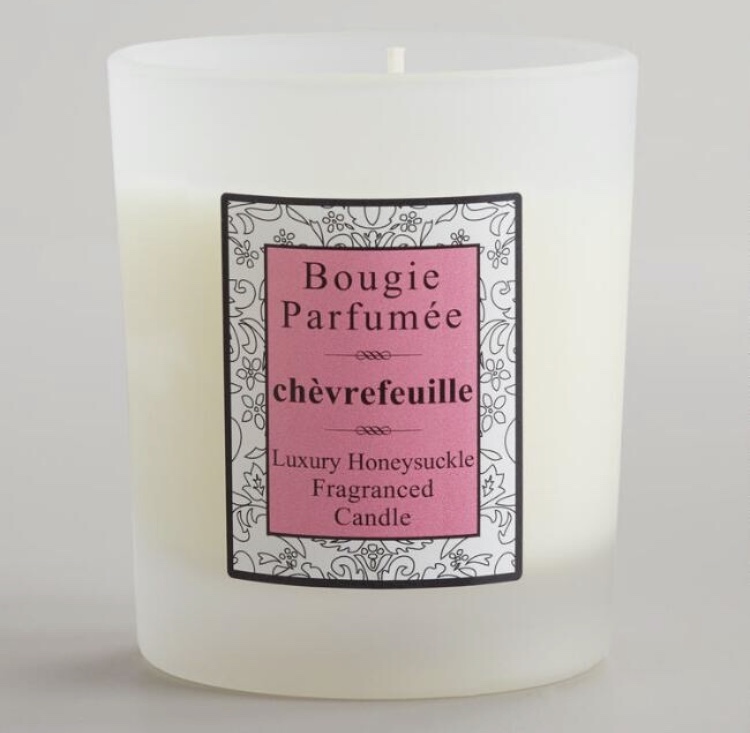 For a dreamy night in Paris, any French themed candle will do! They don’t have to be candles that are actually from France, but if you prefer those, World Market sells French candles that you can order from their website. They offer a variety of scents such as provence lavender, french citrus, and verbena french. If you prefer to shop for candles at your local store, you can still set the mood with a French inspired scent, regardless of whether or not the candle company selling it is a French company. For example, Yankee Candle has a great one called French Countryside, which has a lovely, floral scent. 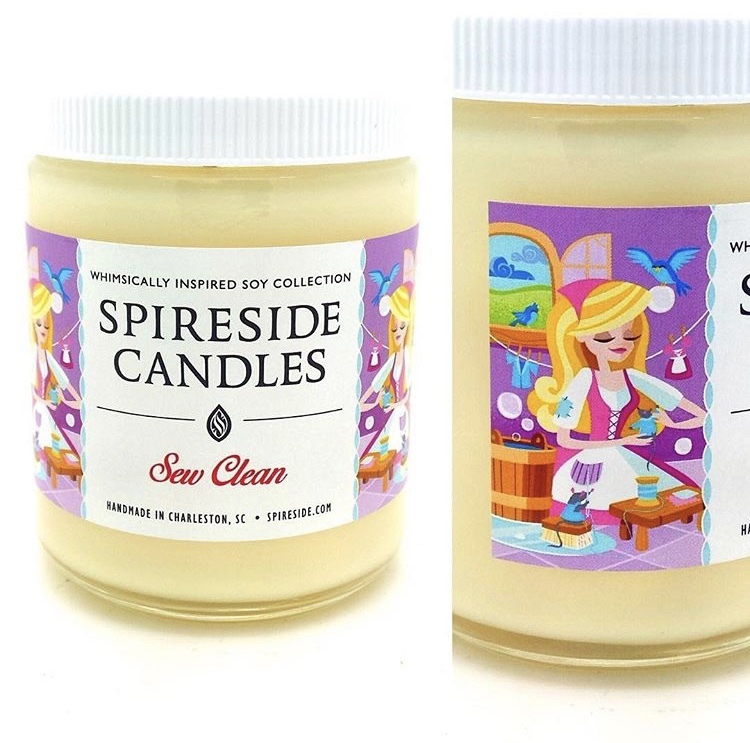 If you are looking for something a bit different, then I recommend trying Spireside Candles. I found them on Instagram and they are my current obsession. They sell these amazing fairytale and fantasy themed candles, with scents inspired by Sleeping Beauty, Narnia, Camelot, and even a scent inspired by a haunted castle! I love any candle that will make you feel like you are being transported somewhere else. I think that their Cinderella inspired candle “Sew Clean” would be fitting for a Parisian themed night in, because who wouldn’t want to purchase a candle inspired by everyone’s favorite French princess? No Parisian themed night of relaxation is complete without tea! While coffee is my favorite way to start the day, tea is my favorite way to end the day (any other caffeine addicts out there?). When I was thinking back to my favorite teas for this post, one in particular stood out. This tea, by Harney & Sons, is quite literally called, “Paris”. How perfect is that? I bought this tea for my Beauty and the Beast loving friend, because I thought that it would be a fitting purchase. When she raved about it, I went back and ordered it for myself. I can safely say that Paris is one of the best black teas that I have ever had. Don’t get me wrong, I am a big fan of Harney & Sons and I prett much exclusively drink their jasmine and oolong teas, but I was wary because I’ve had some bad experiences with Harney & Sons black teas in the past (their earl grey is atrocious). However, this tea was smooth, comforting, and creamy, with a hint of vanilla to it, which I’ve never had in a tea before! I didn’t think that I would like a creamy, vanilla tea (I prefer floral flavors) but this tea is one of the best I’ve ever had. This would be perfect for a relaxing night in! If I could live inside the world of any movie in the world, it would be this one. Everything about this film is stunning, from the scenery, to the locations, to the costumes. Disney outdid themselves! This movie tops the rest just from the scenery and atmosphere alone. This movie transports you to a fairy tale kingdom in France unlike any other, and would be my top recommendation of all the movies on this list. Also, the score is one of the best I’ve ever heard in any film, period. Who doesn’t love a good Audrey Hepburn movie? In this film, Audrey plays the glamorous and sophisticated Sabrina Fairchild who returns home from culinary school in Paris. Upon her return, two wealthy men vie for her affection. This is also the film where she sings the classic song “La Vie en Rose”. I haven’t seen this one yet, but obviously it came to mind when thinking of movies that take place in France. This is a romantic comedy that takes place in Paris, which is perfect for a relaxing, Parisian themed night in. If any of you have seen this movie, let me know how it is in the comments! This Pixar film admittedly isn’t a favorite of mine, but it’s still a really cute film. The movie is adorable and you get to learn about some authentic French dishes! I was inspired to make ratatouille after watching this film; it probably didn’t turn out as well as Remy’s but I tried! I know what you’re thinking, and yes, I am aware that Anastasia is Russian, not French. However, if you’ve seen this movie, you’ll know that not only does Paris hold the secret to her past, parts of this movie take place in Paris too. This movie is a childhood favorite of mine and is fun to go back to. Chocolate croissants anyone? A Parisian themed night wouldn’t be complete without French treats! My favorite foods mostly consist of French pastries, so I’ll take any excuse to buy some macarons! My personal favorites are French macarons and madeleine cakes. If you’ve never had either of these, you’re really missing out! French macarons are actually my all time favorite food; I don’t know what it is but I just find the texture of it so satisfying! Madeliene cakes are these little shell shaped butter cakes and they’re the yummiest things ever! These treats are perfect to pair with the Paris tea mentioned before, and now you’ll have something to nibble on while settling in for your movie. Now that you’ve had your tea, treats, and a film (or several!) you’re probably tired and ready to start winding down. The perfect way to end your Parisian themed night is relaxing with some music. This is your time to put on a face mask, play your favorite French songs, and lie back and meditate for a while. Take this time to imagine you’re relaxing in your penthouse in Paris with French music lightly floating through the open windows and a view of the Eiffel Tower. If you don’t know what to listen to, I’ve got you covered! I’ve made a Spotify playlist that features not only French music, but other light and dreamy songs that give off a similar Parisian or dreamy vibe. If you’re like me, you can’t fall asleep without some sort of activity first, usually reading. I tend to read myself to sleep because it makes me feel tired. I recommend picking up a French fashion magazine or novel! If you want to combine this step with the previous step, you can still settle in with your French music and face mask, but flip through the pages of your favorite fashion magazine as you’re doing it. Parisian fashion is simply the best! My favorite illustrated guide to Parisian fashion is “Paris Through a Fashion Eye” by Megan Hess. I hope that this post has helped give you some ideas on how to have a relaxing Parisian themed night. I have a few ideas planned, but let me know in the comments any requests you may have for future posts in this series. Bonne Nuit, lovelies!